Co-sponsored by Belk Library & Information Commons and the Hispanic Student Association. 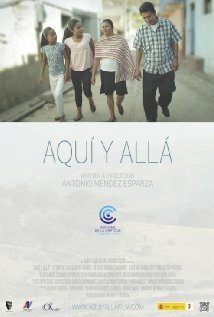 The film is about a Mexican immigrant who returns home to a small mountain village in Guerrero, Mexico after years of working in the US, and struggles to rebuild his family and follow his dream of starting a band: the Copa Kings. The film won the International Critics' Week Grand Prize at the 2012 Cannes Film Festival.